Last season, Gerald Hodges met criticism for a lack of focus. This season is a whole new story. There has never been any doubt as to Hodges’ athletic ability. When Minnesota drafted him in the fourth round in 2013, Hodges was coming off his junior season at Penn State. That year he started all 11 games, earning first-team All-Big Ten honors from the coaches and ESPN.com and second-team accolades by the media. He also was named a Pro Football Weekly honorable-mention. Hodges led the team with 106 tackles (60 solo) and ranked in the top 15 in the Big Ten in hits (eighth) and sacks (14th tie with 4.5). Coming into the 2014 season, Hodges has made some adjustments—including working to be in better physical shape this offseason. Hodges expressed a confidence in playing the nickel defense, and says his team mentality has improved. 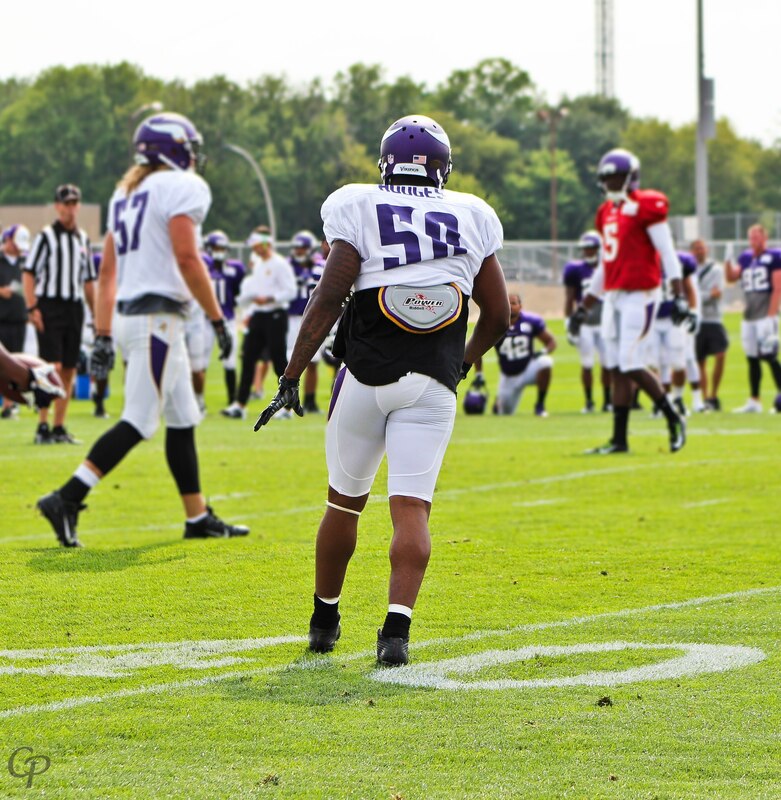 Hodges has every intent of making an impact on this football team, and he certainly impressed fans Friday night during Minnesota’s first preseason game. The linebacker rumbled on defense, tying for a team-high five combined tackles. His highlight-reel moment, though, came when he blocked Oakland’s field goal attempt. TCF Bank Stadium held 51,752 fans that night, and the crowd went crazy at at the play. Hodges became the first Viking to block a preseason field goal since 1999. A general consensus among Vikings fans is that the block will not be his first and only. The regular season is just around the corner, and Hodges is ready to roll. Great article! I think Hodges will continue to improve and impress, and will become a fixture with the ones very soon. Thanks Lindsey. If anyone can tap Hodges talent, Zimmer is the man! Great article, right to the point! Good article Lindsey. Like the Aussie said, if anyone can get this guy balling, it’s Zimmer. Man, I’m looking forward to watching this defense. The most underrated player on the roster, I think this is Greenway’s last year with the team but fans should be excited about Hodges stepping up. He’ll add speed and coverage ability and he may not be a striker/thumper per se but hes a sound tackler that wraps up and hes been coached by some of the best. I think Hodges and Blanton have been the biggest surprises (in a good way) at camp. The amount of improvement he has shown since last year is almost unbelievable. He is just starting to tap into the freakish athletic talent that lies within. Hodges will make a particular long time Viking with a high salary and declining ability expendable after this season. I think Lindsay,Gerald and myself should all get together at Denny’s for pancakes following the next preseason game.